Dr. Sana Shamim has a special interest in wound care and limb salvage, sports medicine and surgery. She has returned to her home state of Maryland to serve and become part of the Frederick community. In her free time, Dr. Shamim enjoys traveling, hiking, running and spending time with her family. 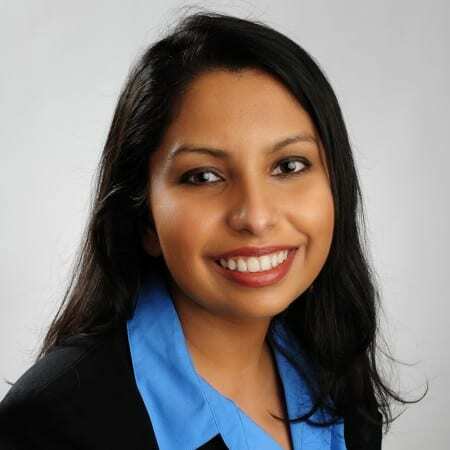 Dr. Sana Shamim graduated from Temple University School of Podiatric Medicine and completed her undergraduate studies at the University of Maryland-College Park. She graduated as chief Resident from Roxborough Memorial Hospital with a certification in Rearfoot and Ankle reconstruction. She has presented research at the American College of Foot and Ankle Surgeons. Dr. Shamim is board certified by the American Board of Podiatric Medicine and is an Associate of the American College of Foot and Ankle Surgeons. I saw Dr. Shamim. She's absolutely the best. Dr. Shamim is awesome! She listens to her patients. She is friendly and helpful. I am very grateful to have her as my Dr. I was just amazed at the professionalism, knowledge of the Doctor [Sana Shamim]. She addressed my every concern. My wife was in the room. She had been going to another podiatrist for a year in Gettysburg. When I was making my appointment for a follow up visit in four months, my wife asked for an appointment also. She is excellent. She is very personal. Just like a long time friend. Dr Shamim is very caring and thorough in her examination. Dr. Shamim is professional and thorough. She made sure I understood my current treatment plan and was also interested in my future care as well. I have [seen] too many doctors for my feet and ankle problems and she is by far the best. From now on all my foot and ankle issues will be cared for by Dr. Shamim. Dr. Shamin was very personable and easy to talk with. She understood my problem and recommended the most efficient and effective treatment. I suffered no downtime and continued on with my activities as usual after the procedure. She is an awesome and caring doctor. The practice is very well run. My care here has been excellent, and I'm very grateful. I am very happy with the care I have gotten for this foot problem. Throughout the past several years, I have dealt with physicians and wound centers in two areas, Venice, Fl. and Frederick, Md. The approach to the situation was very different in each location. Three times a week in Florida, trimming, bandaging, etc. Compared to less frequent in Frederick. Care both places was excellent and I hope the problem has now been solved. Thanks for taking the time to listen and explain. I am also grateful that I didn't get a hard sell to buy products or new shoes (other podiatrists do this).